BONUSKLUB – Baharstore – retail chain of cosmetics, perfumery, care of body and face. Baharstore is a retail sales point that operates under the brand name “Baharstore” (STENTOR LLC), as well as a franchise store which has already joined the current program (For more information, please visit “Baharstore” stores or http://Baharstore.az/). BonusKlub (in short: Program) for goods and services is a loyalty program, launched for customers of the stores that operate under the brand name Baharstore, and regulated by the rules of the program BonusKlub, as well as local acts and regulations of STENTOR LLC. The participant of BonusKlub (in short: participant) is an individual who obtains the package BONUSKLUB in accordance with the abovementioned rules of the loyalty program BONUSKLUB. BONUSKLUB (in short: CARD) is a special card of the BonusKlub participant, distributed by “Baharstore” stores, securing control over participant identification and the procedure of collecting and using bonuses. Personal data of the BonusKlub participant is a special format that includes necessary information about the program participants, either on paper or in an electronic form and also a formal application for the participant’s inclusion into the Database of STENTOR LLC. The program BonusKlub is meant for people above 18 years of age. 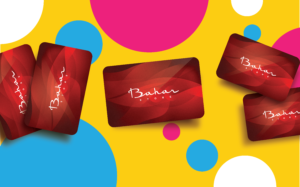 To be a participant of the program, one first needs to get a loyalty card for the program and registered the card at Baharstore store. The card is given to everyone who buys goods regardless of the purchase amount.. The card is activated once the participant fills in all blanks of his/her personal data and is added into the database of BONUSKLUB by either a STENTOR LLC official or a representative of the franchise store with the Baharstore trade mark (in case the franchise store joins the program BonusKlub). The bonus program is available in retail network of “Baharstore” stores in Azerbaijan. For more information about the franchise store covered by the bonus program, please visit “Baharstore” stores or http://Baharstore.az/. Participants of the program BonusKlub purchase goods in accordance with price boards, and get bonuses. They can also use these bonuses when doing shopping again (or in order to get a discount) in one of “Baharstore” stores. From 01.05.17 onwards, participants of the program BonusKlub get standard bonus in 3% of the value of the goods (or any other percentage depending upon previous campaign) by mathematical rounding of the purchase amount to 2 decimal places (for example, when buying goods worth AZN 99, the card gets 2.97 bonus). 3) Goods whose costs are fixed with the campaigns “BonusKlub”, “Campaign price”, “Price for those of ours” The amount of bonuses calculated when buying products covered by different campaigns can vary (increase or decrease) without any changes in this program. Fore more detailed information, please visits www.Baharstore.az/bonus or call *2211 (calls are free from landlines, and calls from mobile phones are charged according to the tariffs of mobile operators (only for adults)) In case of special promotional campaigns, participants of the program BonusKlub can get an additional bonus up to 50% of the value of the goods in accordance with the terms of various campaigns. STENTOR LLC has the right to withdraw bonuses calculated by mistake (including technical mistakes) due to the transaction that was cancelled in case of return of goods, as well as in case of fraud. For the bonuses to be calculated, the participant needs to present his/her card before paying for a product at “Baharstore” stores. The participant of the program BonusKlub himself/herself follows the calculation of the bonuses he gets on account of the product he/she gets. Information on the calculated bonuses is printed on the receipt after the product is paid for, and the customer can follow that information in his/her personal account on http://Baharstore.az. Bonuses for products purchased without presenting the card cannot be calculated later (backdated). The participant assumes all risks and responsibility for the protection of the card and bonuses in it. Bonuses become “active” 1 day after a product is bought and can be used for purchasing (when getting a discount) at “Baharstore” stores. Bonuses cannot be converted to cash. With active bonuses calculated, the participant can pay 100% of the value of goods he/she buys from “Baharstore” stores. When paying for goods using the card, bonuses are debited from the card. In the presence of several amounts of bonuses with different terms of validity (ie charged at different times and therefore having different expiration dates), the write-off occurs in the order of their accrual, i.e. Sales advisors of “Baharstore” stores can give you detailed information about products and services that cannot be paid (get a discount) for with bonuses. The validity period of bonuses is 180 days after they are activated. Once this period is over, bonuses are withdrawn from the card and cannot be recovered or compensated for in any way. The validity period of bonuses calculated in various campaigns, including “Up to 50% bonus” is 30 days after they are activated. Detailed terms on the period can be found in the rules of such campaigns. 6) RETURN OF GOODS PURCHASED WITHIN THE PROGRAM BonusKlub When returning goods (if it is stipulated by the legislation of the Azerbaijan Republic), for the purchase of which bonuses were calculated, bonuses, which were calculated for the purchase of the returned goods, are withdrawn from the card. When returning goods, the value of which was wholly or partly paid for using bonuses, bonuses, which were paid for the purchase of the returned goods, will be added to the card with a validity of 180 days or 30 days for promotional bonuses since the return. rules of the program can be changed unilaterally. – By sending a letter to the following address with a request to withdraw from the program Aziz Aliyev street 9, Baku city, AZ 1005 – marked BonusKlub By becoming a member, you agree to all the rules of the program BonusKlub. By becoming a member of the program BonusKlub, the participant consents his personal data to be included in the database BonusKlub of STENTOR LLC, as well as to receipt of advertising, marketing and other informational materials from STENTOR LLC (from its representatives and agents). The fact of receiving the card and its activation means that the Participant is familiar with the rules of the Program, agrees with them and undertakes to implement them on the terms set out in this Regulation.